67 percent had to choose between paying for utilities and paying for food, with 32 percent reporting making this choice every month. 91 percent purchased the cheapest food available, even if they knew it wasn’t the healthiest option, in an effort to provide enough food for their household. 65 percent have at least one member who suffers from high blood pressure; 41 percent have someone who struggles with diabetes. Nearly all (94 percent) of Kentucky’s food bank client households with school-aged children receive free or reduced-price school lunch through the National School Lunch Program. Only one in thirteen school children who receive free and reduced-priced lunch during the school year have access to such meals during the summer months when school is out. 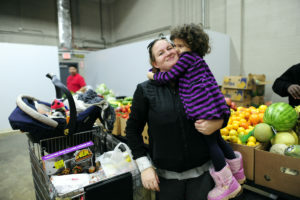 In response, the members of Feeding Kentucky (formerly the Kentucky Association of Food Banks) feed 1 in 7 Kentuckians each year in partnership with a network of 800 local charitable feeding organizations. Its members serve all 120 counties in Kentucky. 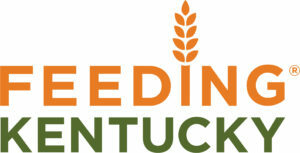 Learn more about Feeding Kentucky by visiting FeedingKy.org.